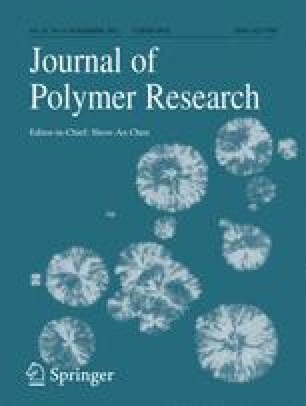 A suitable dispersion technique and quantitative evaluation of degree of dispersion of carbon nanotubes (CNT) in any solvent and matrix system has been one of the key issues for achieving enhanced performance of CNT reinforced composites. We report the use of UV–vis spectroscopy as a useful technique to ascertain the degree of dispersion of multiwalled carbon nanotubes (MWCNT) in the epoxy resin. The study has enabled to maximize dispersion of MWCNT in the epoxy resin using two different routes. As a result the composite samples prepared with only 0.3 wt.% amine functionalized MWCNT showed flexural strength of 140 MPa over the neat resin value of 55 MPa, an improvement of ~155% which is maximum reported so far for CNT-epoxy isotropic composites. The authors wish to express their gratitude to Prof. R.C. Budhani, Director NPL, to accord his permission to publish the results. Authors would like to thank Mr. K.N. Sood and Mr. Parveen Saini for their support in carrying out SEM, FTIR and UV spectra of the samples. One of us (PG) is grateful to CSIR for awarding the research fellowship. The studies were supported through research grant from ASL under MoU: ASL/31/08/4052/MoU/01.